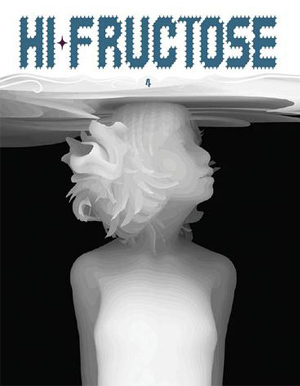 Hi-Fructose New Contemporary Art Magazine kicks off 2013 with Volume 26! Multi-media artist Michael Mapes pins and builds portraits like a forensic entomologist, Mars-1 creates exploding worlds, first as tiny sculptures, then with his intergalactic abstract paintings and murals. Brazilian artist Andre Muniz Gonzaga identifies and brings to life faces in the natural and not-so-natural world around him. Both Vasilis Avramidis and Sage Vaughn tip the balance between man and nature in completely different ways in their provocative paintings. You can almost see the flowing animal sculptures of cover feature Beth Cavener Stichter move if you look fast enough. 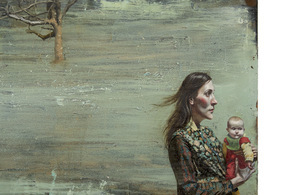 The Low Bros work in tandem to create two and a half dimensions in public space while Sarah Dolby’s paintings intimately confront us with their fierce beauty. 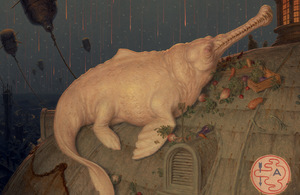 Painter Adam Miller’s subjects are left to heroically writhe in a dream state amidst industrial decay while Ted CoConis’ paintings of women somehow manage to capture the sordid beauty of the alley ways of Paris. Plus reviews on new books by Adrian Tomine, Invader, and KRK Ryden! 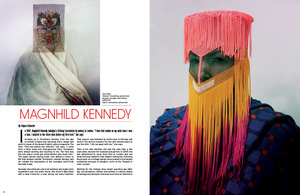 All in one stellar issue. 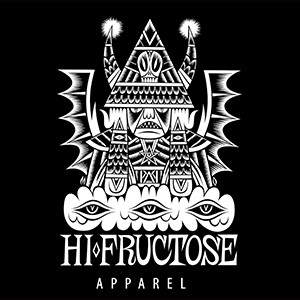 Hi-Fructose Vol. 26 arrives in January. 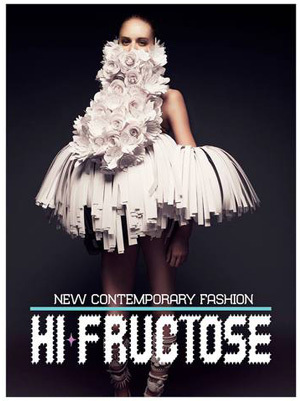 Pre-Order Hi-Fructose Vol.26 in the Hi-Fructose Store here!